The chart above provides an overview of EventWatch alerts by event type for 2017 and 2018. In 2018, the top 10 event types, with the exception of Labor Strike/Disruption, all saw increases from the year prior. Regulatory Change experienced a stark increase from 2017. While there were no significantly disruptive earthquakes in 2018, the number of alerts issued for the event type more than doubled and it makes an appearance in the top 10 of this list. The Protest/Riot event type also saw a dramatic increase when compared to 2017 data, which may speak to the tumultuous political climate observed in 2018. 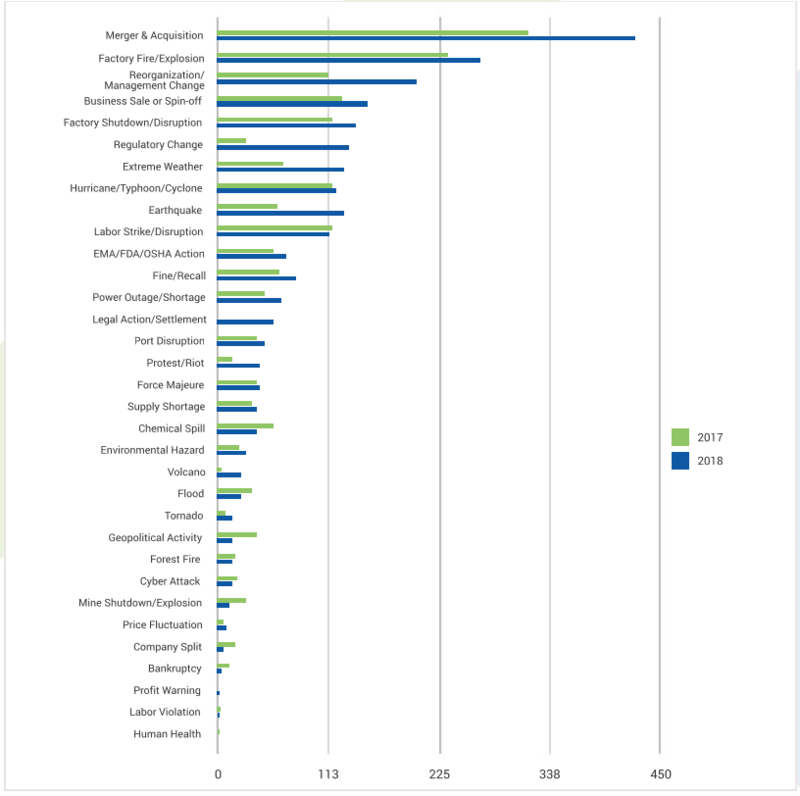 Note: Some changes in year-on-year EventWatch data do not reflect changing trends or patterns but instead are the result of Resilinc adding new industry verticals and their suppliers to our database; monitoring and reporting on new types of events, including Profit Warnings and Legal Actions/Settlements; and refining thresholds for event reporting in several categories in response to customer feedback. 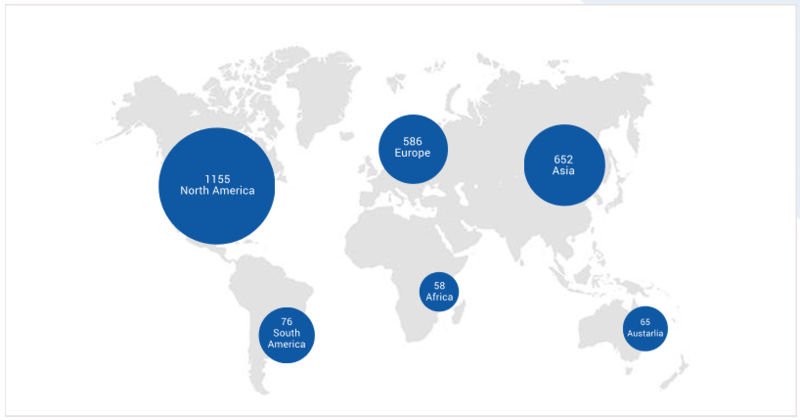 The chart above compares the number of EventWatch alerts by region in 2017 and 2018. 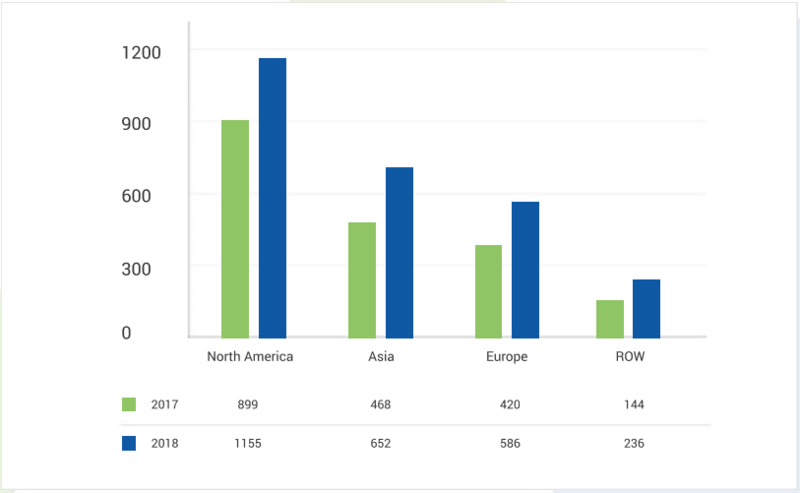 North America, Asia, Europe and Rest of the World (RoW) all observed an uptick in the number of alerts published in 2018.